There are many variables going into the draft and offseason for the Ravens. 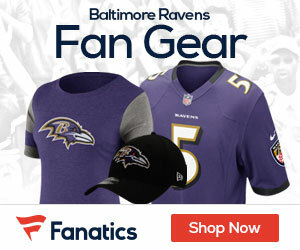 Obviously, the team will need to lock up RB Ray Rice and QB Joe Flacco to long-term contracts. Then there’s guard Ben Grubbs, one of the top offensive linemen. Can the team afford to sign Grubbs along with Rice and Flacco? 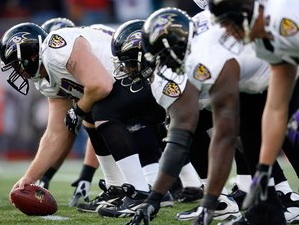 There’s been talk that the Ravens could use the franchise tag on Grubbs. GM Ozzie Newsome has some challenging work ahead of him to pull all this off. 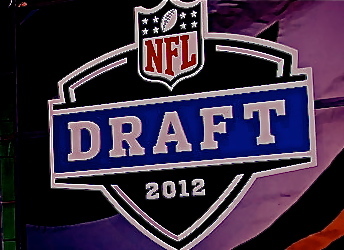 Offensive line is an area where the Ravens should strongly consider in the 2012 draft (April 26 – 28). There’s been speculation that the team might pull the trigger on an inside linebacker in this year’s draft. Of course Ozzie Newsome won’t pass on the best player available, yet inside linebacker might not be a priority position. If you noticed when Ray Lewis missed four games linebacker Jameel McClain (unrestricted free agent) filled in well. If you look at the offensive line, it is a unit in need a bit of a makeover heading into 2012. Unless the team lands a free agent center, chances are Ozzie Newsome will want to solidify the offensive line in the draft. Center and guard will be on the forefront. GM Ozzie Newsome hinted in the year end press conference that the team will most likely add a new center next season. Matt Birk hasn’t made a decision on retirement, so his status is unknown. Andre Gurode (10 year veteran) filled in well this year at center and guard. Yet he is a stop-gap measure, not a long-range solution. Bryant McKinnie played well at left tackle, and should do well again next season. Like Gurode, McKinnie is not a long-term solution. A point we picked up on in our radio show was that the offensive line was somewhat uneven in their performance. There were many games they were pretty solid, but there were also times where Flacco had no time to throw. Typically, edge rushers gave both tackles (RT Oher and LT McKinnie) problems. Case in point, the Houston Texans who got to Flacco numerous times in the Wild-card match-up. And what about all those 3rd and short or goaline running plays where they couldn’t pick up a yard? Chances are strengthening the offensive line in the draft will be a priority.